Welcome to the latest installment of Diversity Solutions! The #WeNeedDiverseBooks campaign is going strong, prompting BookCon to create a diversity panel and First Book to expand its 2013 pledge to purchase diverse books. The momentum for diversity is building, but the fight to raise awareness isn't over. 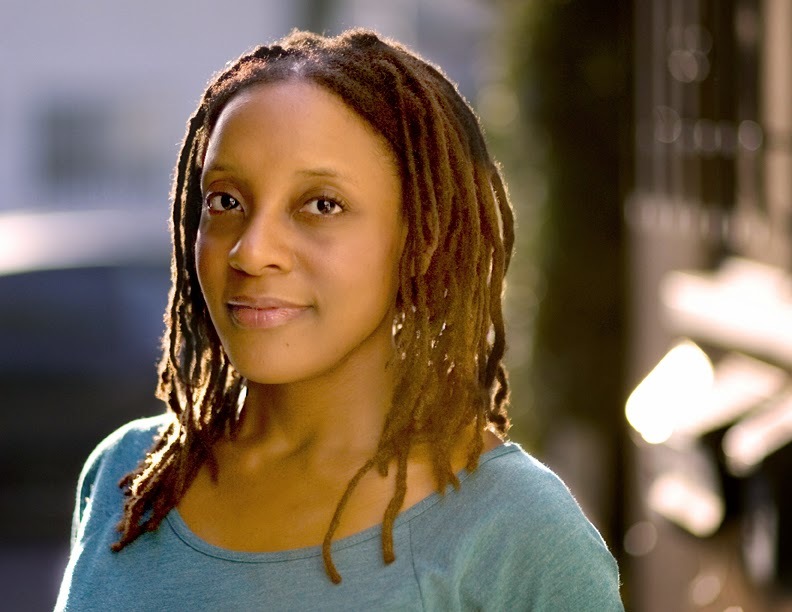 Today we have Brandy Colbert here to discuss the need for diversity in YA and how we can achieve it. Brandy Colbert's debut is the YA contemporary Pointe, the story of a girl who knows more than she's telling about her best friend's kidnapping case. Brandy has also worked as an editor for several national magazines and as a copy editor. Hi Brandy! Thanks so much for taking the time to discuss the hot topic of diversity in kid lit! Please tell us a little bit about POINTE. What inspired your character, Theo? POINTE is about a gifted ballet dancer whose best friend is returned home after being kidnapped four years earlier; her life begins to unravel once she realizes she played a role in the abduction. Typically the story comes to me first and then the characters, and in this instance, I was inspired by all of the long-term kidnapping cases I've kept up with over the years, especially the one portrayed in the TV movie I Know My First Name Is Steven. As for the ballet part, I grew up dancing and I've always loved reading ballet books, but I couldn't think of any recent ones that featured a black character. So I decided to write the one I'd always wanted to read. According to this post by Lee & Low Books, there is a large gap between the percentage of children's books with diverse characters and the actual percentage of minorities living in the United States. It seems to me that if 37% of Americans are non-white, there must be an untapped market of readers waiting for books about minority characters. Why do you think publishers haven't invested further in books about diverse characters? The top reason I've heard cited is that publishers are afraid the books won't sell. This is discouraging for many reasons, and can quickly become a self-fulfilling prophecy if no one is willing to fight for books written by and about people of color. And yes, publishing is a business, but these books were hard to find when I was a child and teen; it's baffling we still have the same problem in 2014, and hard to believe the demand isn't there. Did you think it is easier or more difficult to get a book with diverse characters published? What was your experience like in the submission process? I worried so much about fitting into a box when I was querying agents. The first three books I wrote were about black girls, but the plots all had a significant racial element because I didn't see books about black teens just living their lives, and assumed I'd never get one published that didn't focus on race. With POINTE, the main character is black and race is openly talked about in a couple of scenes, but the book is primarily a story about a girl who happens to be black. I never mentioned her race in the query, and I was terrified it would be the death of my story once agents got to the part where the main character mentions her race. But my agent and editor both found the diversity in the book refreshing, and I'm very lucky to have ended up with two people who really got it and understood why the story was important to tell on a number of levels. Do you feel that writing about diverse characters has helped or hindered your career? I think that in the past few months, people have been more open and honest about the need for diverse books, so it's encouraging to know that readers seeking out those stories might come across my book. We heard it loud and clear from the #WeNeedDiverseBooks campaign that all types of readers want to see themselves and/or the world reflected in the books they read. I'm not sure I'd be able to directly tell if it has hindered my career, but publishing can be a pretty tough business, so the best thing I can do is remain positive and hopeful about putting my work out there. There is a belief in the publishing industry that books with ethnic characters on the cover don't sell as well. If this is the case, what can we do to change it? What types of covers would you like to have for your books? I personally prefer books that don't feature characters' faces as I like to imagine how they look based on the text, rather than being shown. That said, it is extremely important that covers accurately reflect the characters inside the book. It's also important to ensure that covers with people of color are designed with the same care as other books, rather than finding the first stock image available of a black or Asian or Latino character and calling it a day. 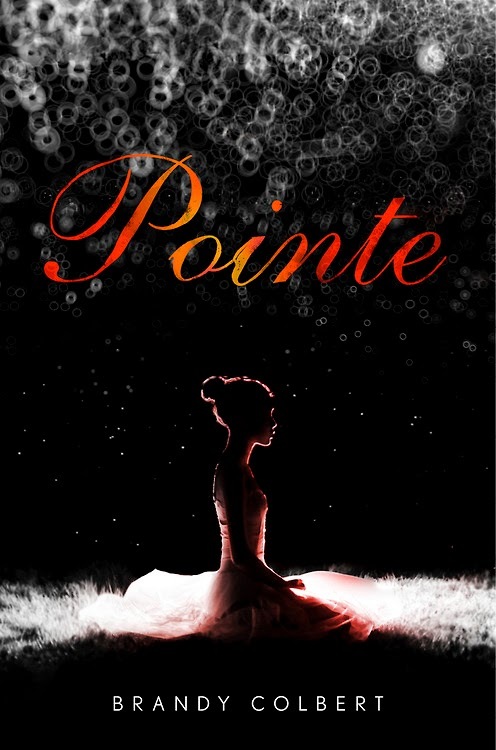 I've been in love with the cover of POINTE since the first day I saw it. It's compelling and gorgeous and perfectly fits the story, and I'd consider myself very lucky if my future work was presented in such a beautiful, thoughtfully designed package. 1. Market books featuring people of color in the same way they market books primarily featuring white characters; don't let these books slip through the cracks. 3. Seek out good work by diverse authors, and don't lean on the excuse that these writers aren't out there. They're out there and they're working hard, because they want their voices to be heard, too. 1. Think about the characters you're writing and the world you're creating. Do they accurately reflect the people in your life? Your friends and family and colleagues and the strangers you encounter each day? Are you taking the easy way out by writing characters who all look, act, and were raised the same way? 2. Support diverse books and authors. Buy these books. Check them out from your library and request them if they're not there. And if you like them, talk about them. Recommend them. Start a discussion about what makes them great and different and important. 3. If you've been writing diverse characters for a while but are having trouble placing your work, don't give up. Keep writing the stories you believe in, and don't assume you can tell what an agent or editor is looking for by their physical appearance or current list. Change is constant and you never know who will end up connecting with your work. Thanks so much for an inspiring and thoughtful interview, Brandy! Thanks for having me, Maya! To learn more about Brandy Colbert, check out her blog or follow her on twitter. Also, don't miss the other Diversity Solutions interviews with Nathan Bransford, Sherri L. Smith, Stephanie Guerra, Lamar Giles, Aisha Saeed, and Jessica Martinez!